The Ram 1500 SSV might only have three extra letters, but don’t let that fool you into thinking this is your average Ram 1500. This truck is the ultimate peace keeper, thanks to a Hemi 5.7L V8 delivering 395 hp at 5600 rpm, this bad boy will be able to help our men and women in blue catch up to any criminals in a flash. Under the hood you’ll also find specially made high endurance parts that will keep your Ram running for years to come, like 100,000 mile spark plugs and a larger alternator than the standard 1500. 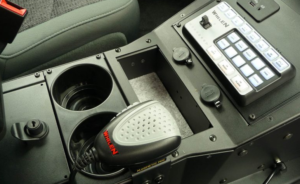 Inside the cabin you can get any equipment you’ll need to take down the bad guys, like the Havis VS-series cop console and the Whelen CenCom Carbide lights and siren control. In the back seat you’ll notice a vinyl interior that is designed to be hosed out for easier cleaning. 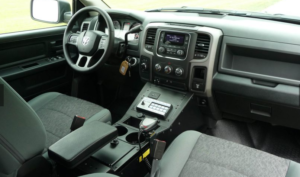 Don’t worry if you don’t see equipment that is required at your station, because the Ram 1500 SSV is customizable to local law enforcement specs. The Ram 1500 SSV is only available to members of the law enforcement, so civilians won’t be able to get one of these heavy hitters. Also available to law enforcement partners is the Dodge Charger. This mid sized sedan grants all the necessary power and security sought after for law enforcement agencies throughout the country. Another alternative to these vehicles would be the Dodge Durango SUV. This powerful SUV can be just right for our law enforcement partners. It’s also built to be customizable for a variety of uses. 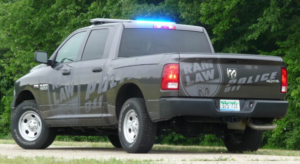 If you are a member of law enforcement and you think the Ram 1500 SSV is right for you then contact us here or feel free to call 817-410-7541 and we will be more than happy to answer any questions you might have.